Our meal plans ensure that even when life gets hectic, you’ll never have to compromise on nutrition. 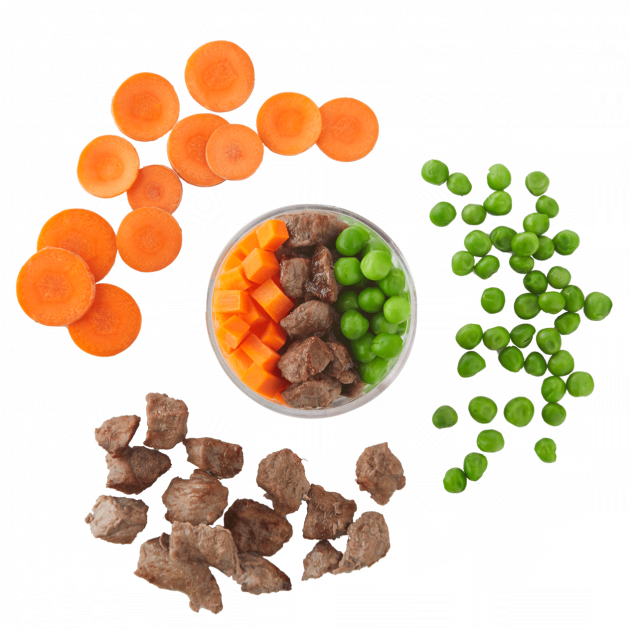 Our baby, toddler and kid meals are perfectly portioned and nutritionally balanced to meet each age group’s dietary needs. Every meal is thoughtfully developed by chefs and registered dietitians, ensuring tasty and wholesome meals—always. With options for picky palates and more adventurous eaters, our meal plans work for every kid—at every age and every stage. Our meals are there when you need them, every week or in a pinch. Choose from kid-tested favorites or get more adventurous with tasty seasonal meals. No commitment. Skip weeks or cancel anytime. 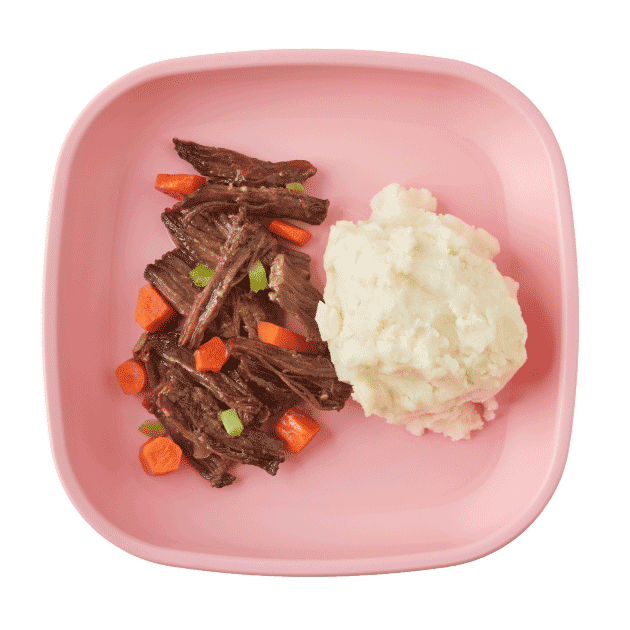 Slow-cooked antibiotic-free braised beef is pulled, then layered with steamed carrots and peas for a finger food-friendly family favorite. Protein-rich beef contains iron that's essential for transporting oxygen to the body. 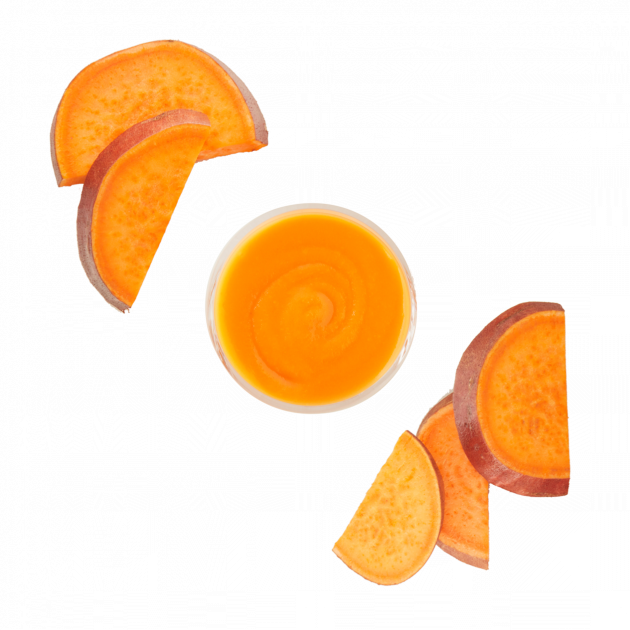 The vitamin A in carrots is beneficial for vision while fiber aids your little one's digestion. 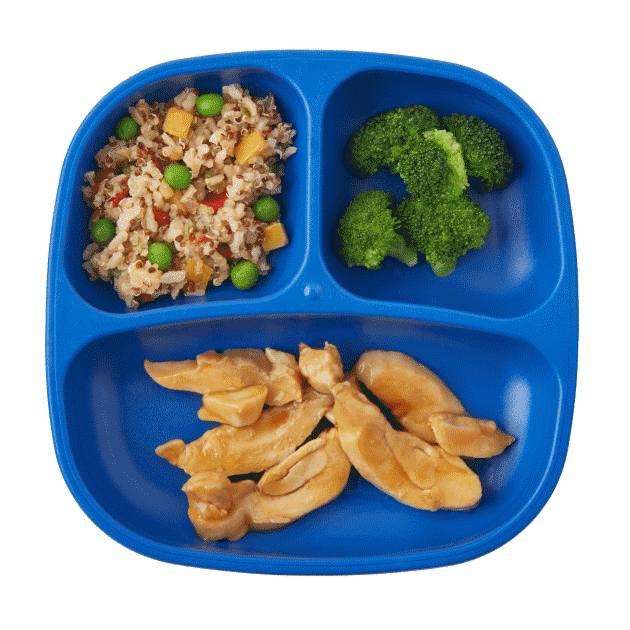 Vitamin B1 in peas help convert carbohydrates into energy, giving your kid the power to play! 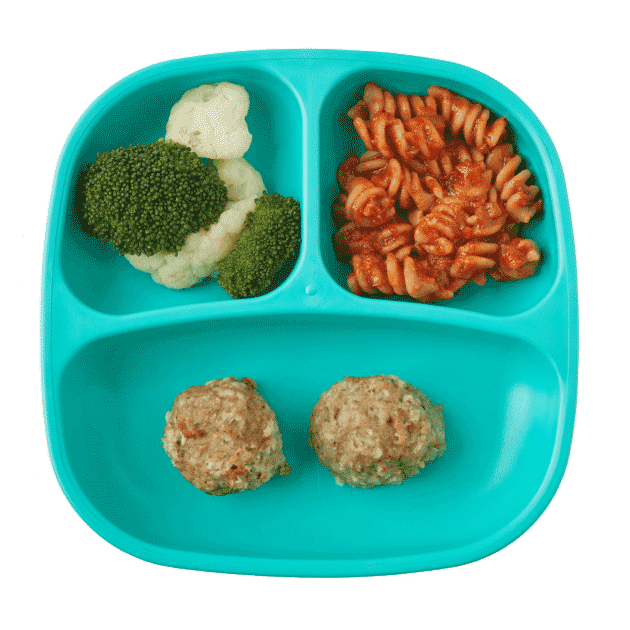 Our signature antibiotic-free chicken meatballs are tossed with whole wheat rotini and our classic tomato sauce. Served with steamed broccoli and cauliflower. Chicken is packed with protein and niacin, a vitamin that helps convert food to energy. Whole wheat pasta contains fiber, which aids in digestion as well as several B-vitamins, essential for energy metabolism. Cauliflower serves up vitamins C and B6, important nutrients for tissue development and nerve health. 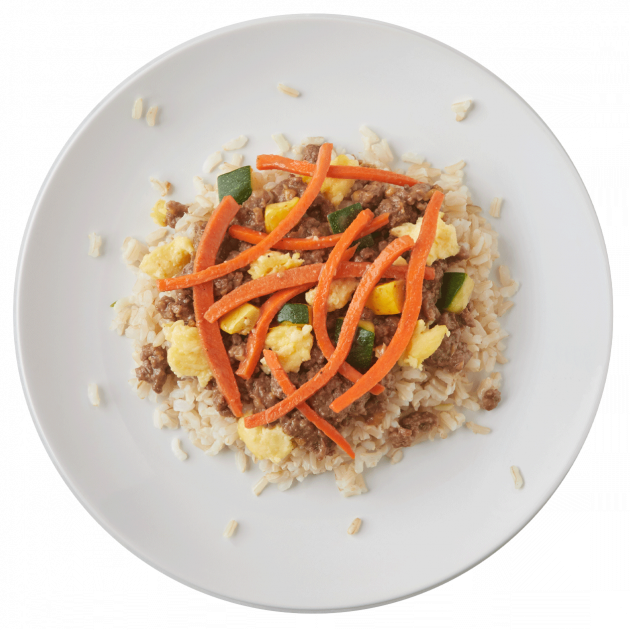 Get ready for your kid to bibimbap to the top with this colorful Korean-inspired dish! Ground beef and a veggie-egg mix are tossed in a light, kid-friendly garlic-ginger sauce. We plate it over brown rice to soak up all the tasty flavors. Eggs provide high quality protein plus vitamins and minerals to fuel the day. Zucchini, a versatile veggie, contains potassium, an essential mineral in muscle health, as well as immune boosting vitamin C.
This tiny little seed is a big deal: Full of antioxidants, omega three fatty acids and fiber, chia seeds are soaked in water so they are easier to digest. 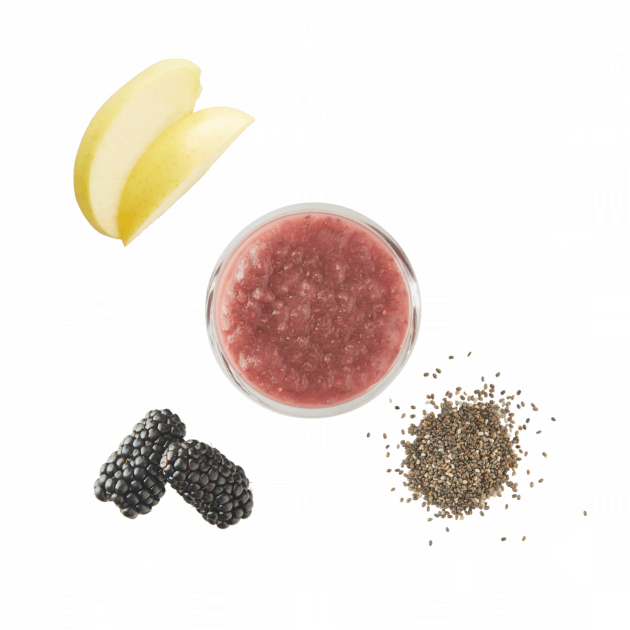 Combined with brightly colored pureed blackberries and Golden Delicious apples, this sweet superfood is sure to be a super hit. Blackberries are full of vitamin C and antioxidants, important for fighting off illness. Apples offer a good serving of fiber along with the powerful antioxidant vitamin C.
Chia are little seeds which provide a great source of omega-3's and fiber to help power up little bodies. “Oui” love cassoulet, a French stew that combines pork, beans and veggies for a hearty and comforting dish. 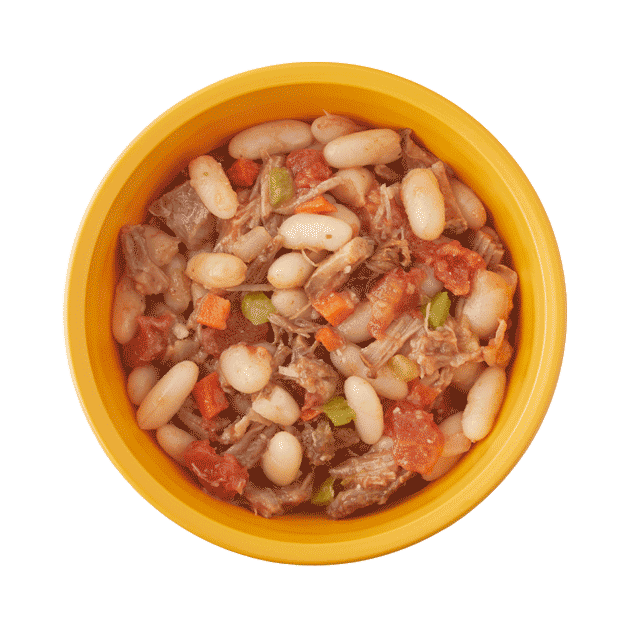 In our version, we use our popular braised pulled pork and mix it with white beans, carrots, tomatoes, celery, onions and some warming spices and herbs to keep it nutritious and delicious. Pork is a source of 6 different B vitamins, which help convert nutrients into energy. Vitamin C in tomatoes helps develop healthy skin tissue while lycopene helps defend skin from UV radiation. 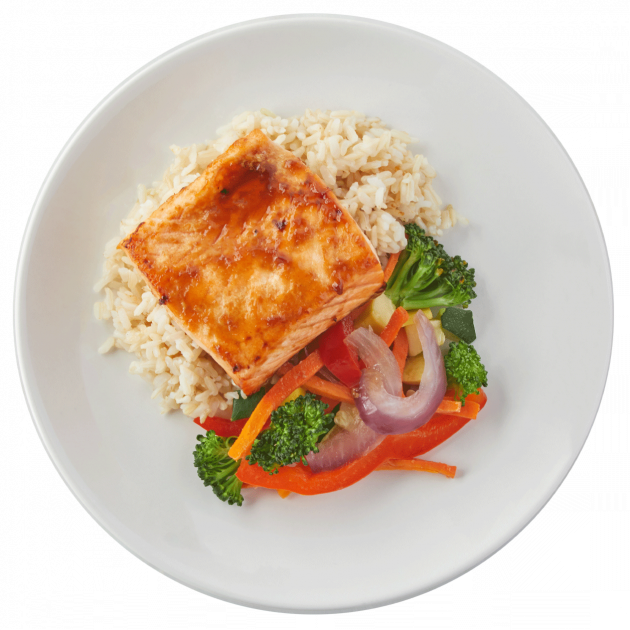 Oven roasted Norwegian salmon is tossed in our lightly sweetened housemade teriyaki sauce, accompanied with a side of stir-fried market vegetables and brown rice. With vitamins D and B12, salmon helps build strong bones and powerful immunity. Whole grain brown rice serves up protein, fiber and antioxidant vitamins and minerals like manganese and selenium. Broccoli is the veggie tree that packs a nutritional punch, with one serving providing a whole day's worth of vitamin C and vitamin K.
Garnet yams are roasted in the skins, peeled and pureed into a smooth consistency. Garnet yams serve up more than a day's worth of vitamin A, an important vitamin for vision. Chinese takeout, meet your match! Sautéed chicken thighs are tossed in our housemade orange sauce and served alongside steamed broccoli and our nutritious veggie fried rice, made with quinoa, brown rice and a delicious veggie medley. Quinoa is an ancient grain superfood packed with fiber, iron, folate and B-vitamins. 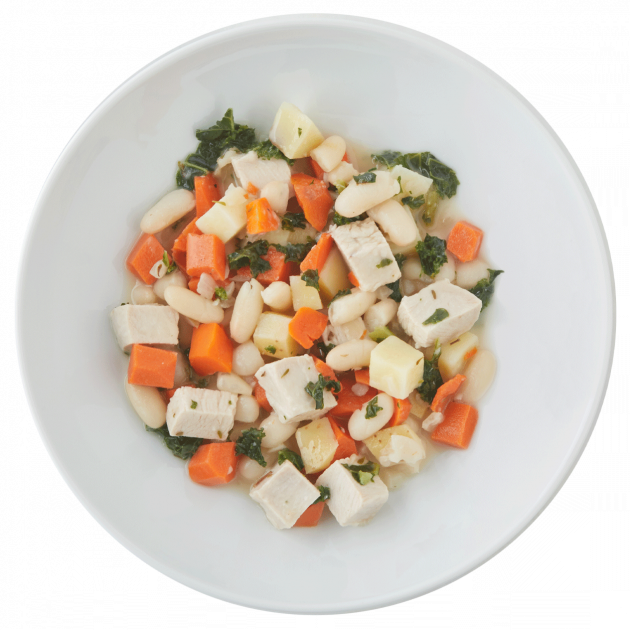 We’ve stewed up all of our favorites—diced turkey, potatoes, kale and cannellini beans—into a dish that will warm and delight your little one. Our stew keeps it flavorful without packing in the sodium by simmering the broth with onions and herbs. A protein-rich poultry star, turkey serves up vitamin B6 for healthy nerves. Nutrient-rich white potatoes have antioxidant vitamin C and energy-boosting potassium. 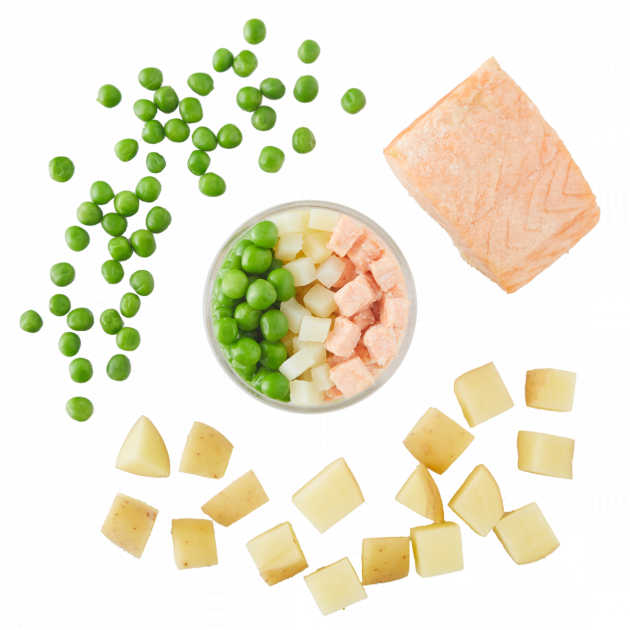 Bright English peas, steamed Gold potato and Norwegian salmon are layered into a light yet filling meal. You might not have three hours to braise a roast, but we do! In this comfort classic, we combine slow-braised beef, carrots, onions, celery and spices for a warm, homey meal. Served with a side of garlic cauliflower mashed potatoes, this dish is as cozy as a hug! 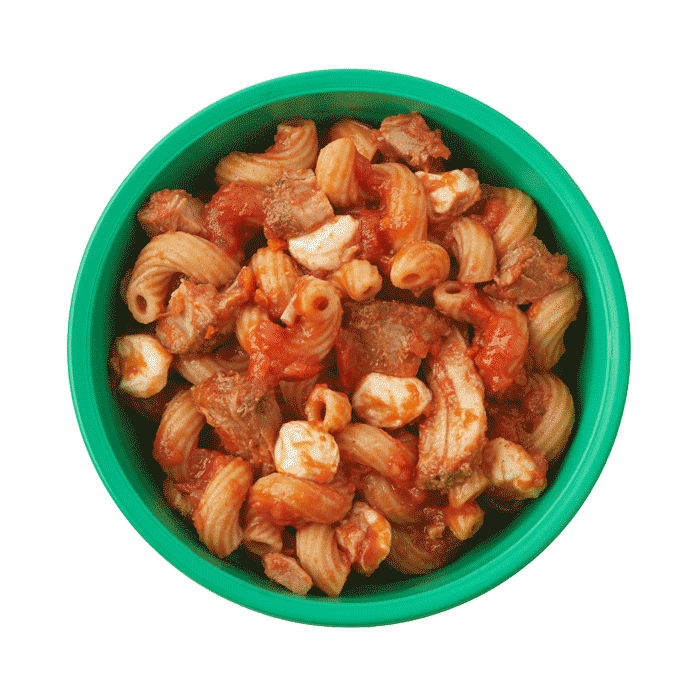 Your little one will jump on the grain train with this flavor-packed grain bowl! 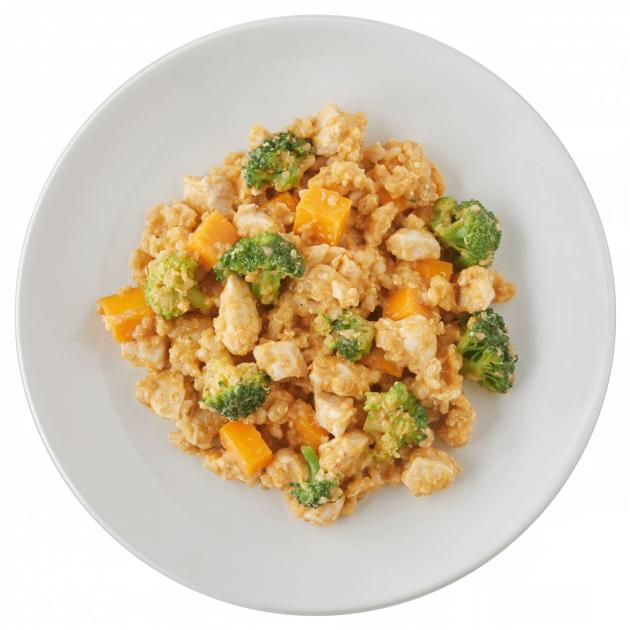 Roasted chicken, butternut squash and broccoli are mixed in with quinoa for a protein-veggie powerhouse dish. We spice it with a hint of garam masala to give it a bit of warmth for winter. Butternut squash is high in vitamin A, a vitamin known for keeping your vision sharp and your immune system strong. 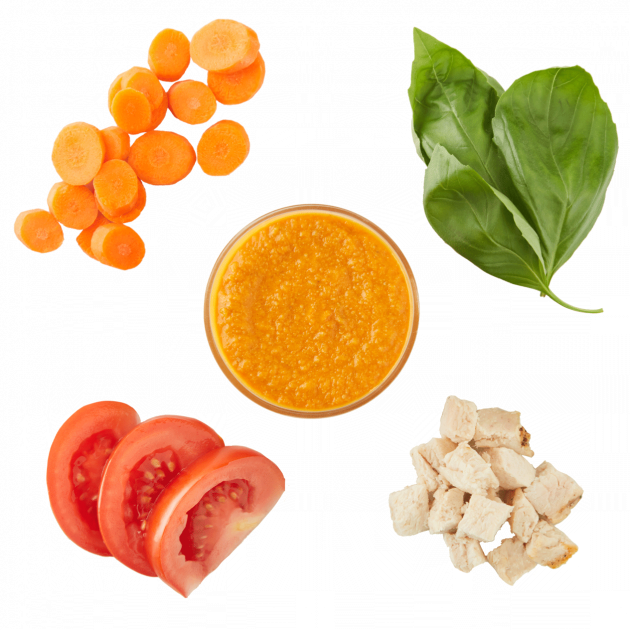 Steamed carrots, sauteed tomatoes and fresh basil are blended into a smooth puree with antibiotic-free ground chicken. Ragout for me, ragout for you! In this hearty dish, antibiotic-free pulled pork and whole wheat pasta are mixed into our veggie-packed ragout. We finish it with a sprinkle of fresh mozzarella for a bit of cheesy delight! 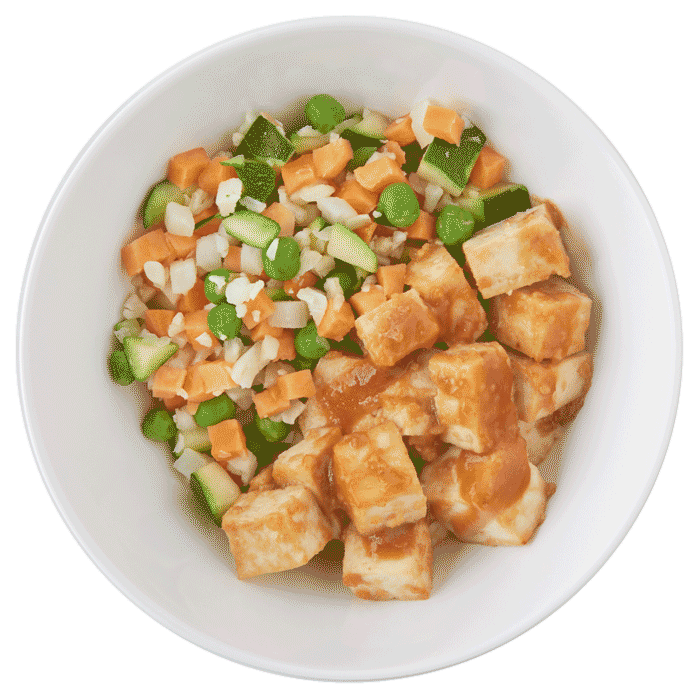 Our housemade miso glaze makes tofu the star of this delicious dish. We pair it with a light stir-fry of cauliflower rice, zucchini, peas and sweet potatoes sautéed with ginger and garlic to give it a complementary veggie boost. Soybeans have copper and calcium which help promote bone, blood and cell health.